Presently covered by the sleeve of his winter jacket, the tattoo on Erwin Wurm’s arm, “One minute forever,” evokes the series of action-based performative sculptures he conceived 21 years ago. 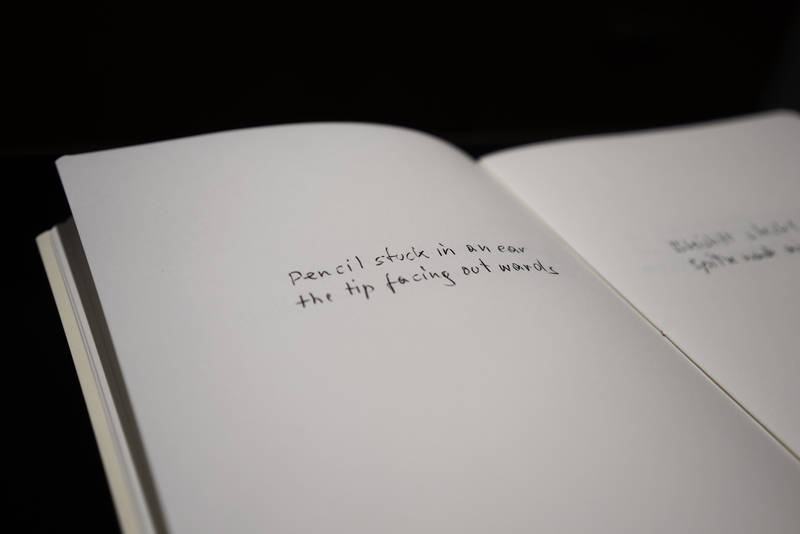 For a One Minute Sculpture Wurm offers a handwritten instruction and/or a suggestive drawing for the audience to follow. For example, a drawing that shows a person sitting on the floor with his legs stretched out accompanies Hold your breath and think of Spinoza. 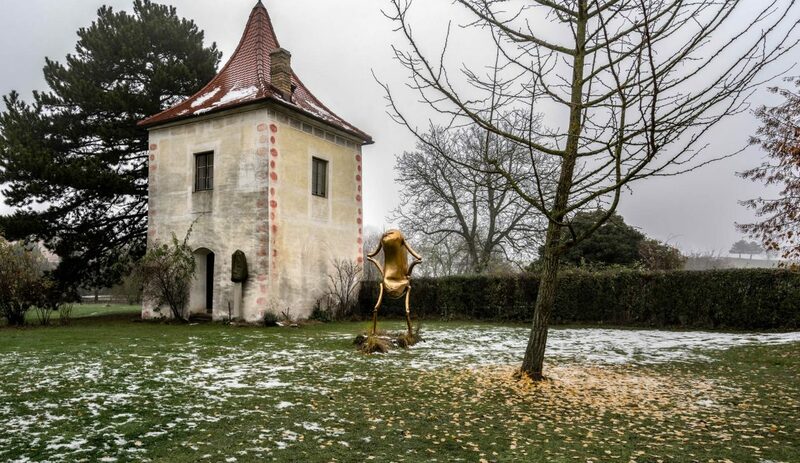 Erwin Wurm performing what could be a One Minute Sculpture in his studio in Limberg. A book containing word sculptures handwritten by the artist. 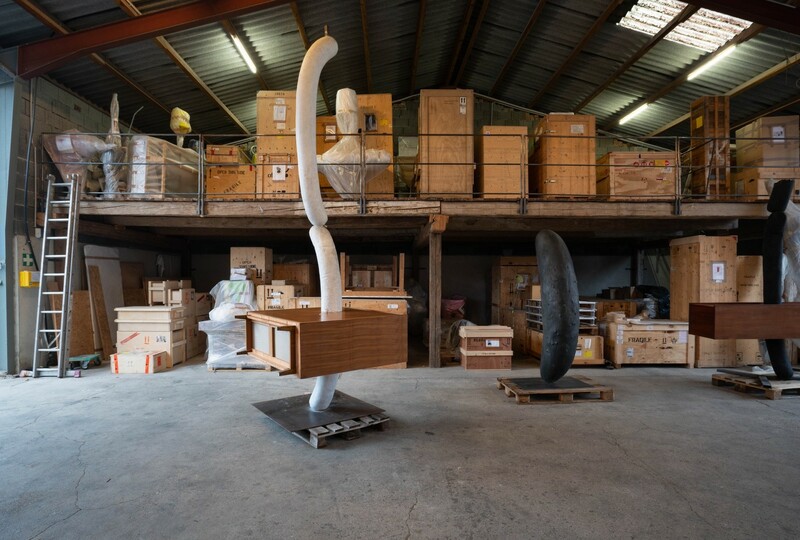 A drinking sculpture in Erwin Wurm’s studio. In Wurm’s surreal world, houses and cars face obesity issues and people with boxlike bodies are headless. The Fat House stands proudly in his garden estate in Limberg after being a year in Brazil. “I am not giving it away again, because it is such a nightmare to ship it. It’s like a 3d puzzle. It has eighteen parts that get separated and then we mount it together. The problem is that these stripes do not belong to it. 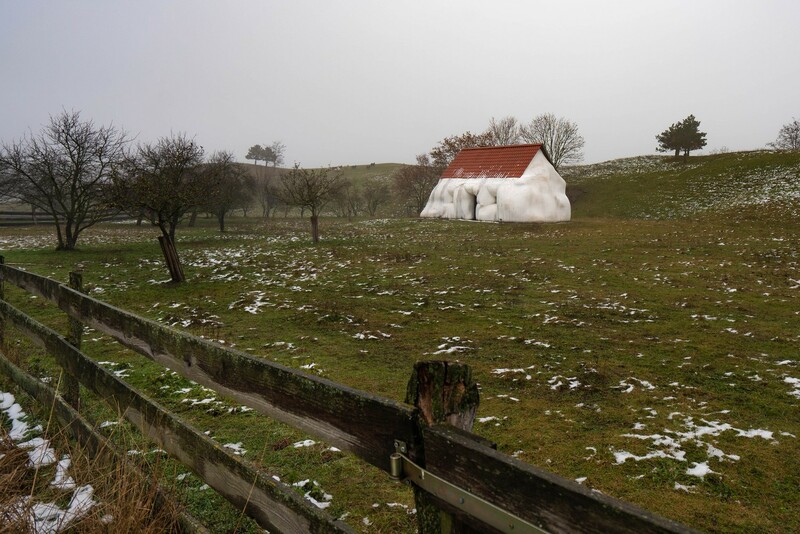 We haven’t finished the mounting, because we haven’t had the time.” Further away, overlooking a hill are two examples from his series Melting Houses illustrating the same ideas about property and how we represent ourselves. Fat House in Erwin Wurm’s garden estate. 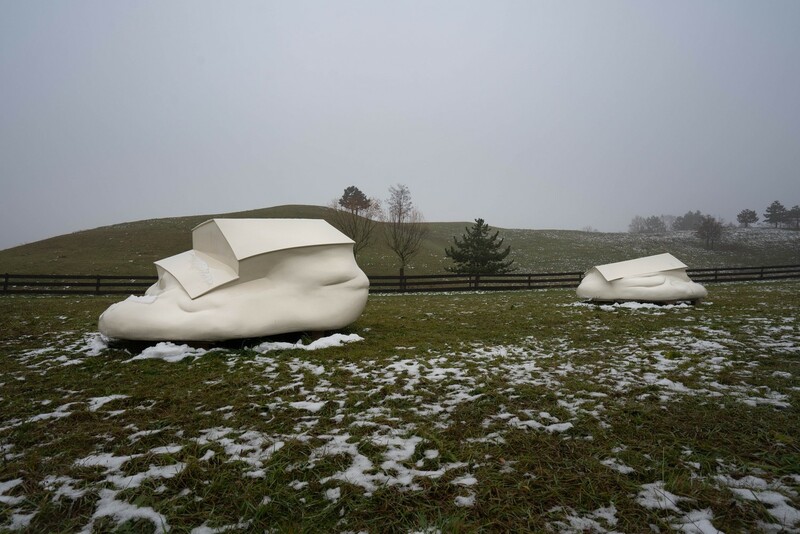 Melting houses in Erwin Wurm’s garden estate. Hot Dog Bus once displayed in Brooklyn Bridge Park for the Public Art Fund. Model of Fat Bus in the studio. Renault 25 dedicated to French philosopher Gilles Deleuze and a pickle on a pedestal. Erwin Wurm posing in between his sculptures. Box people in Erwin Wurm’s studio in Limberg. 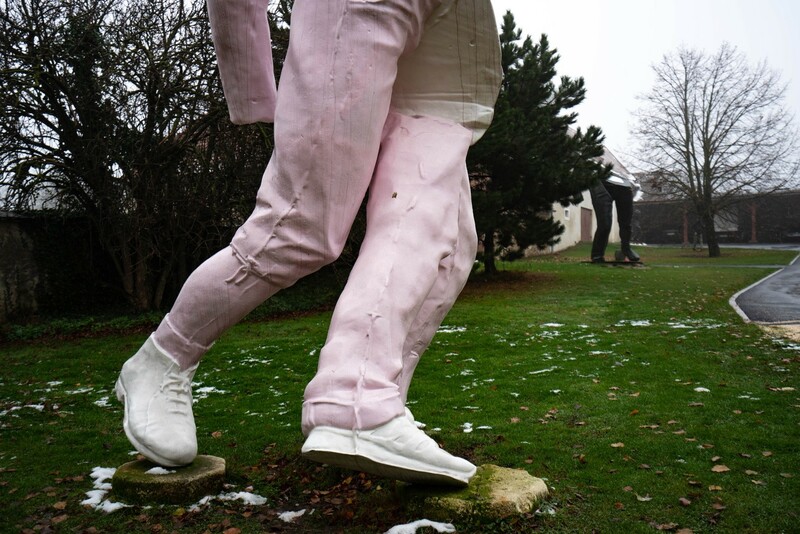 A deconstructed human figure in marshmallow pink. 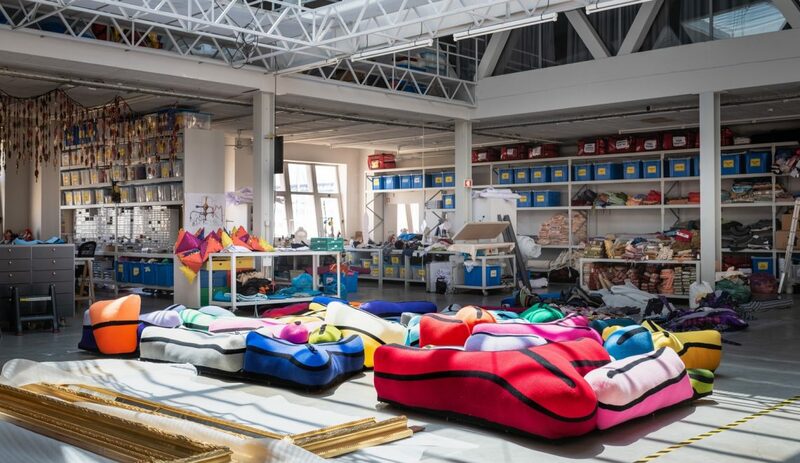 A new series of sculptures made for a show at the Thaddaeus Ropac gallery in London. Sketches from the show Peace and Plenty, in Albertina Museum in Vienna. Adorno as Oliver Hardy in The Bohemian Girl (1936) and The Burden of Desperation in the show Peace and Plenty in Albertina Museum in Vienna. While the allusion to Laurel and Hardy seems to make the image of Adorno comic, the sculpture has a serial aspect as well in that Adorno wears a stretched shirt and pants reminiscent of Sweaters Over My Head and 59 Positions. In this series, Wurm uses clothes for sculptural detail. He pulls sweaters over his head and then contorts himself or others into absurd positions. “Jeans and sweaters as a second skin. The jumper as sculpture and the body as material. I am interested in this idea of skin as a boundary.” In his garden there is one such sculpture from the series next to two other sculptures covered with green fabric not to protect them from the weather. “No, it’s because I am unhappy with those and I have to change things. We didn’t want to show you,” he admits openly. A bronze sculpture from the series Sweaters over my head. 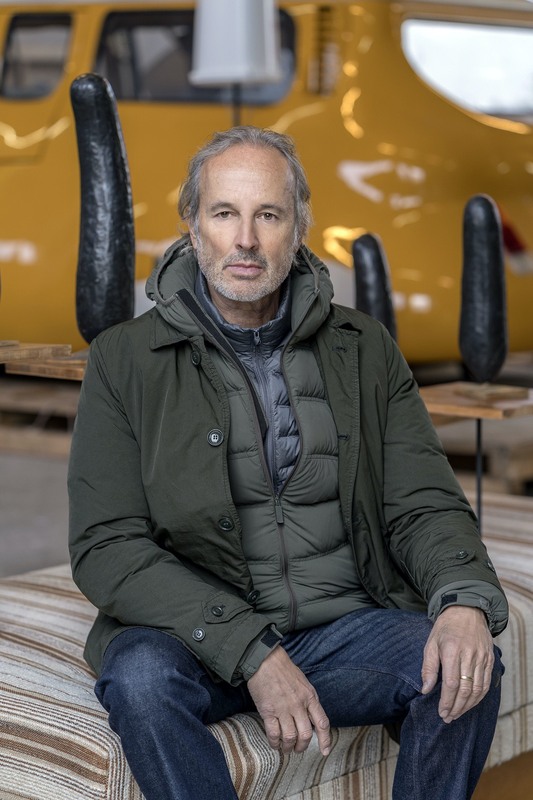 Erwin Wurm photographed in his studio in Limberg, Austria. The delight of his surreal and fantastical art. Brilliant! 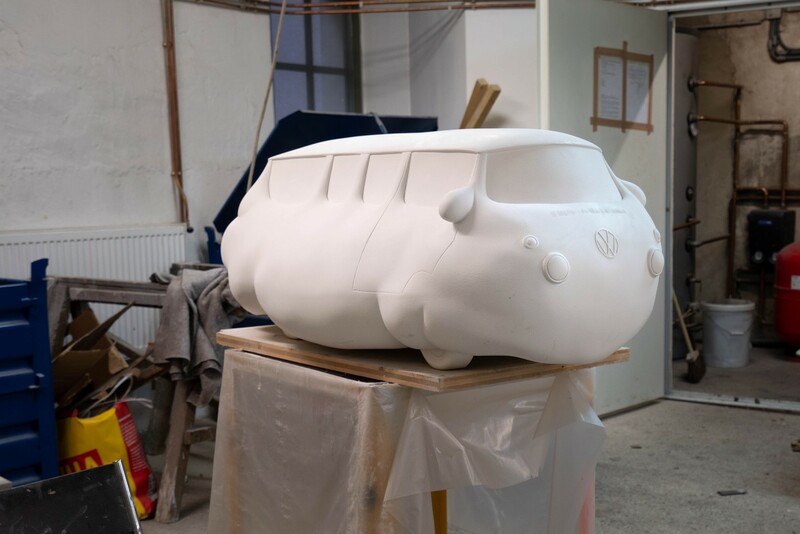 Erwin Wurm’s talent is undeniable. The artworks are speaking for themselves. Enjoyable read and not just for art funs. Bizarre and strange. But if you are a fun of his art you will surely love this. Wurm has incisive way of revealing the fantastic, the absurd and the incongruous that often goes unnoticed in every day life. Often poignant, with a touch of wry humor. Erwin Wurm’s art keeps you spellbound. Your photographs are very vivid and stunning! I love Erwin Wurm’s sense of humor. A fascinating read for sure! Erwin Wurm has sought to encode a complex reality. I love how his one minute sculptures capture that. I find Erwin Wurm’s art vastly entertaining. it is stylishly and wittily conceived. Can’t wait to see what he does next! 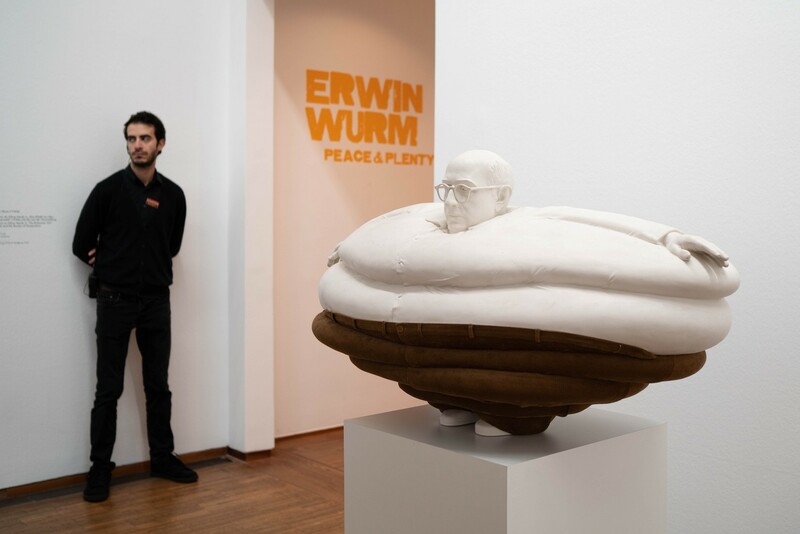 Erwin Wurm is one of the great figures in contemporary art. 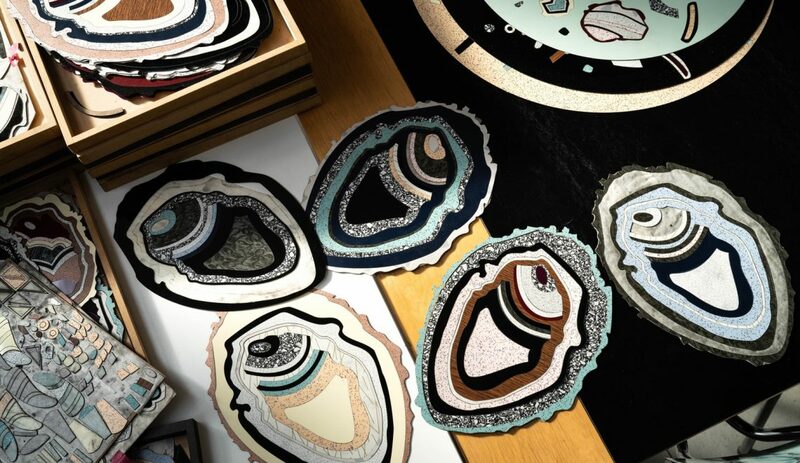 I love how his personal vision is filtered through his drawings and sculptures! I am intrigued by the whole surrealist element in Wurm’s art. Loved the piece! An extraordinary artist! Such a visionary.